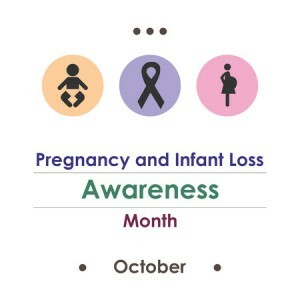 Pregnancy Loss Awareness Month in October is a national movement spearheaded by PAil FAMiLiES UNITED IN SOLACE & SUPPORT. During the month of October, PAiL International will promote awareness, remembrance, and support for families who have experienced a pregnancy loss or the loss of an infant. The fertility experts at New Hope Fertility Center in New York City want to spread awareness about pregnancy loss and how to cope with this devastating event through Professional In-House Fertility Counseling with Allison Rosen Ph.D. That’s not all: In their role as partners in spreading awareness about pregnancy loss, New Hope Fertility Clinic’s New York fertility doctors are dedicated to promoting how patients can reduce their risks of having a miscarriage through genetic testing in conjunction with In Vitro Fertilization (IVF). As an experience clinical psychologist specializing in infertility, Dr. Allison Rosen has helped hundreds of couples cope during their struggle to have a baby. drjohnzhang, October 15, 2017. No Comments. Category: Pregnancy and Infant Loss.